A few days ago I played around with Google voice search and wonder if Google has this good program that can detect voice and return their search result, I can use this function to make use on my system . Instead of writing big chunk program with dictionary stuff to do some basic voice recognition function,I can make use Google server voice recognition service to return the text and execute it on my system. Once I start to work around the script, I realize there is heaps of function I can integrate with this script. This can be a good program by itself. In this post , I'm going to share how you can use Google voice recognition to do simple task with your system . The idea behind this program is using your recorded voice,send it to Google server and it will translate the voice to text . The translated text will be use as a control structure to run basic command for your system . 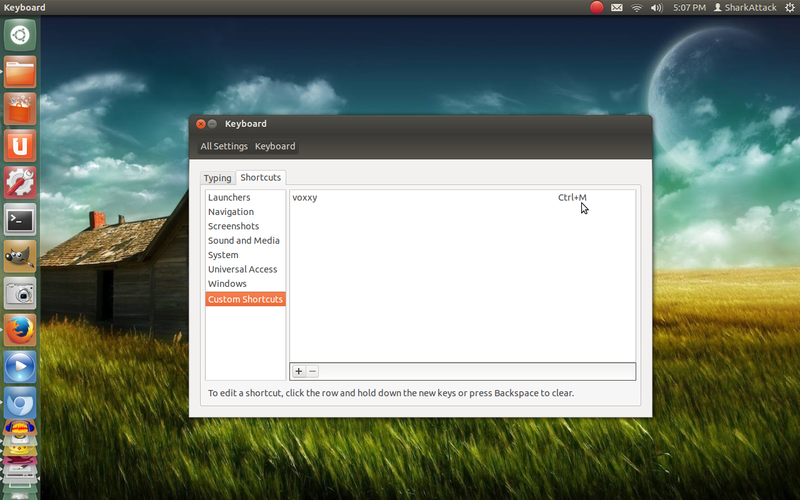 3.Set your keyboard shortcut .Open your keyboard setting . 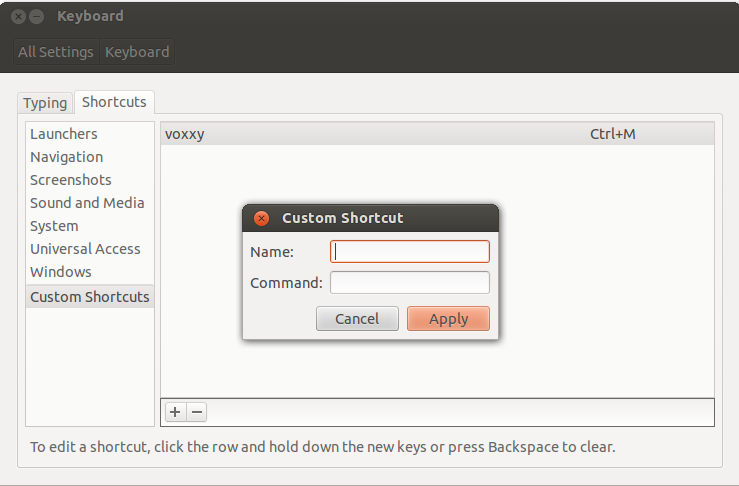 Since I'm running on Ubuntu 12.04 , below is snapshot how to do this. 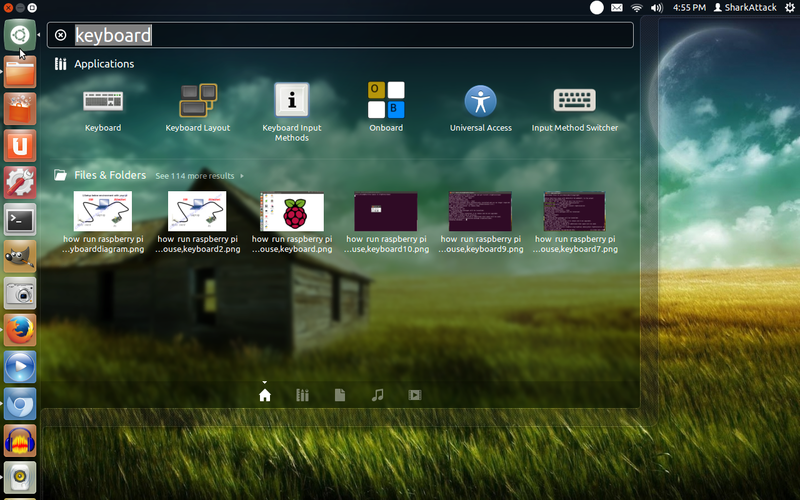 If you are running on different Linux Distro, you can try to look around in your system . 3.4 Click on the right side and give it a shortcut that you want . In my case, I use "CTRL -M"
4. Edit "vsort" file to use it with your system setting.The voice recognition is not 100% accurate because of different dictation between people and how Google server feedback the result to our system.For that reason ,I save 10 utterance that being detected by Google in the "result" file . You can use the result uttterence word by editing in the "vsort" file .I will share the detail script drill down information in the next post .Stay tune . 5.Next test and play around with it. 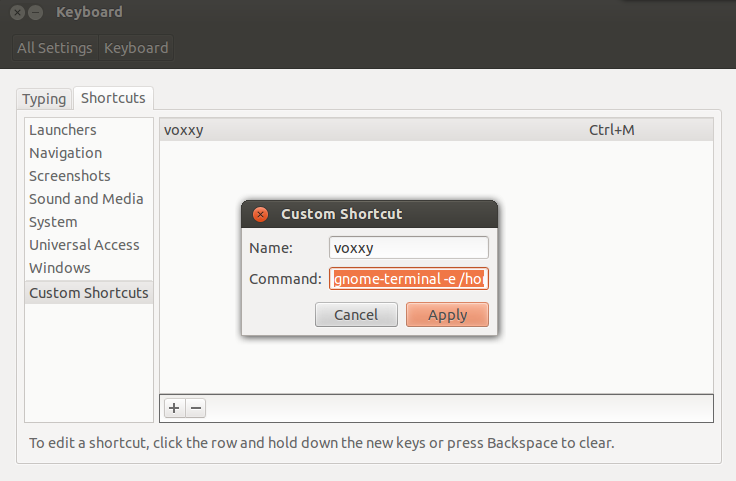 You can run it from the terminal or use the shortcut key you have set . 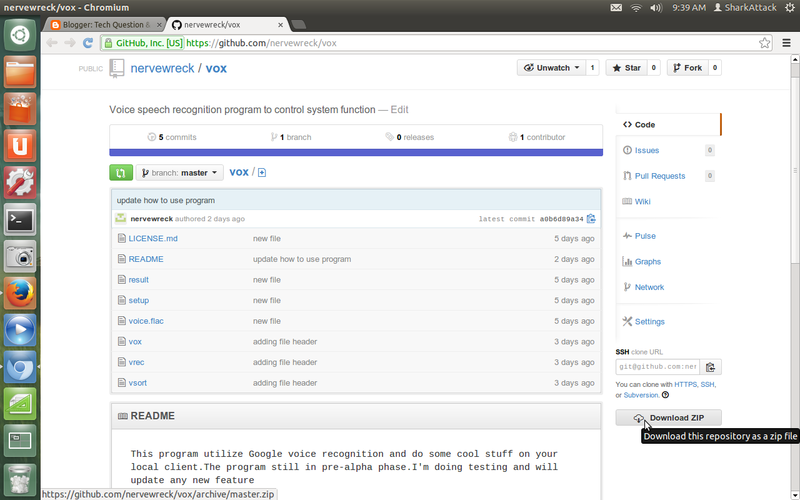 The program should work with basic file searching using your own voice.This program is still under testing phase and I will update more function to vox.Anyone interested with this project or have cool idea what to include in are welcome to contribute.Please visit my Github page.